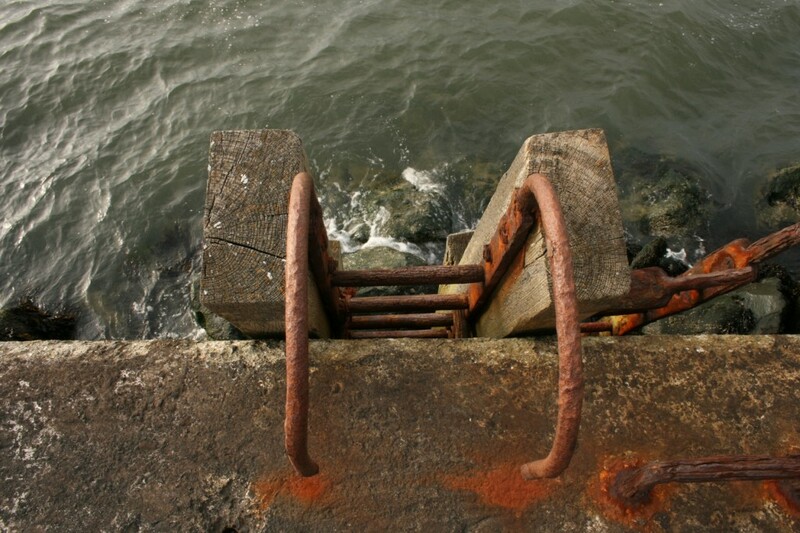 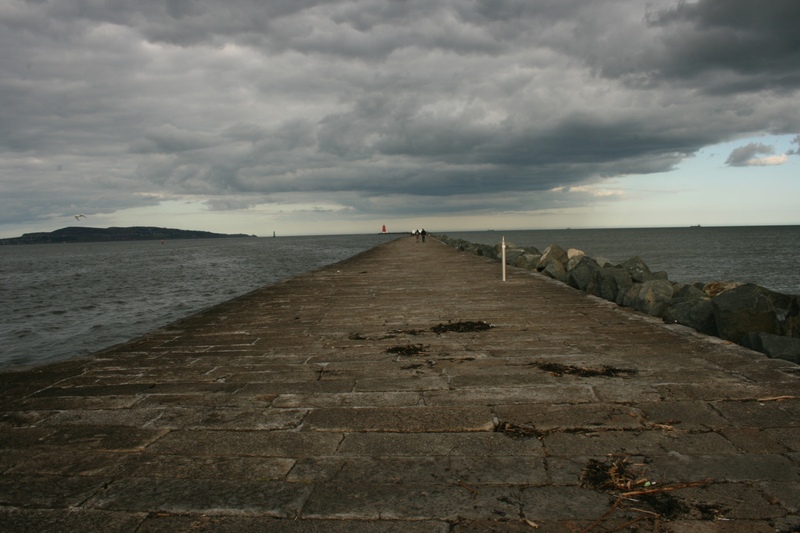 Stretching out from Ringsend into Dublin Bay, the Great South Wall (or South Bull Wall) offers one of the more brisk, austere, and calming walks around the city centre. 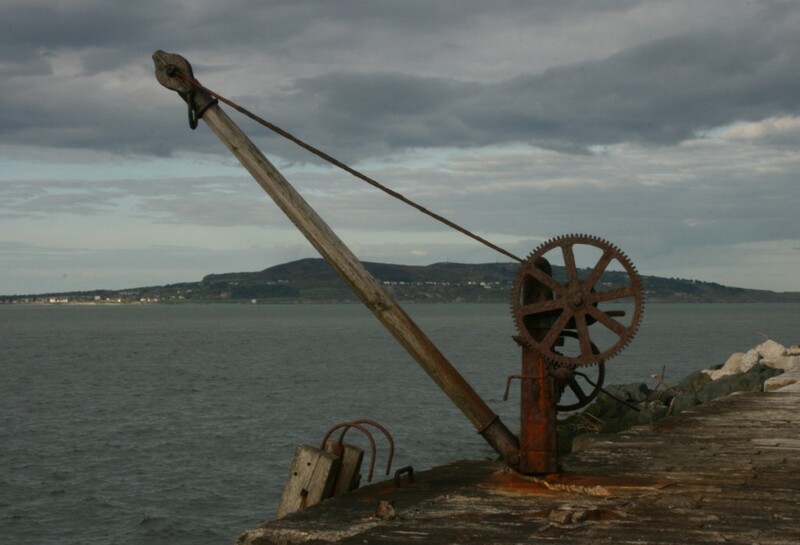 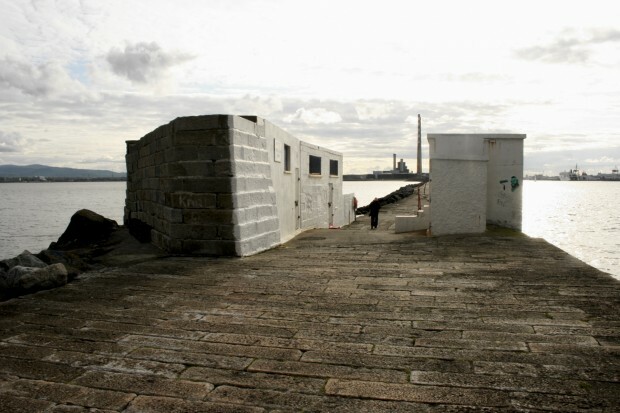 The port’s two sea walls (the other being the slightly later North Bull Wall) were built along major sandbanks, intended to protect the harbour and minimise the sandbanks obstructing the shipping channel to Dublin port. 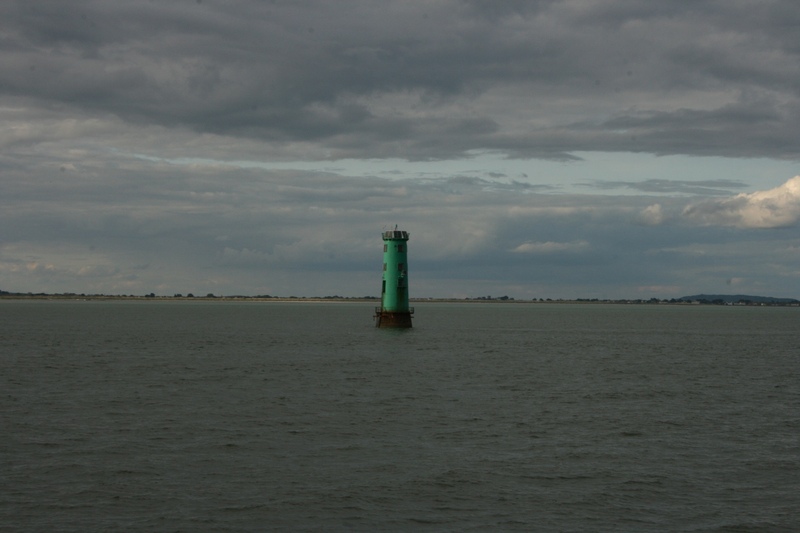 Initially, a structure was built using driven oak piles (1717-1730s), with a floating lighthouse at the end. 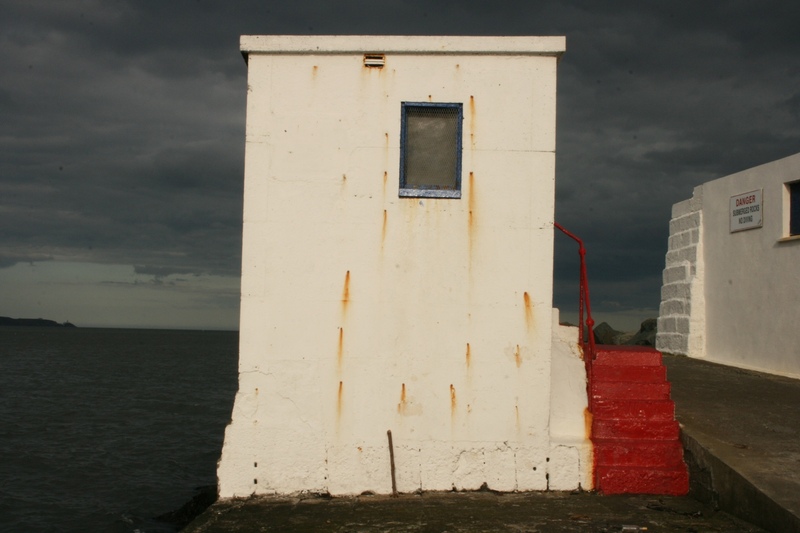 The lighthouse was replaced by the first Poolbeg lighthouse in 1766-7, designed by John Smyth (also responsible for the eastern abutment). 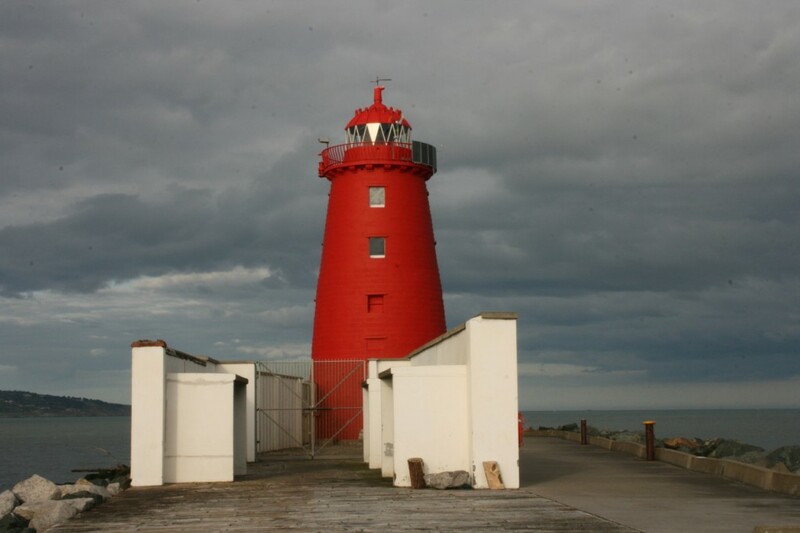 Between 1819 and 1820, the lighthouse was rebuilt under the direction of George Halpin, Inspector of Works and Lighthouses for the Ballast Board. During this time, the granite wall was also being built, beginning in 1761 and completed in 1795. 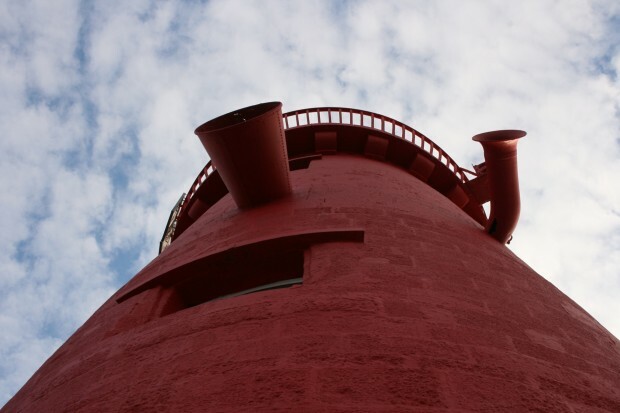 It’s now accessible by car via Pigeon House Road, passing the former Pigeon House Generating Station, or on foot through Sean Moore Park from Irishtown/Sandymount/Ringsend. 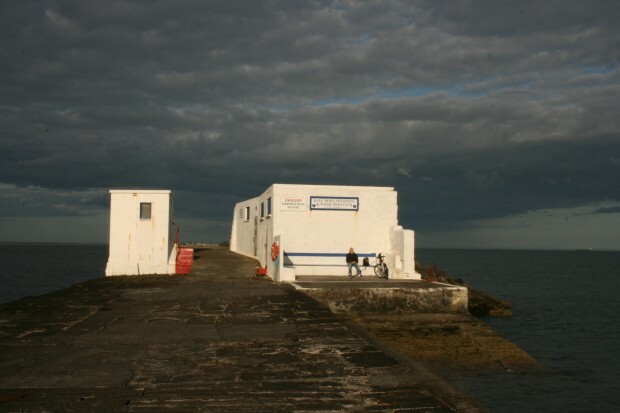 The South Wall’s buildings are set off by the vast expanse of sky and sea surrounding them. Even without changing weather conditions, there are so many tones within the sea and sky and tone, and the painted structures are just single-colour flat blocks, so the contrast is gorgeous.